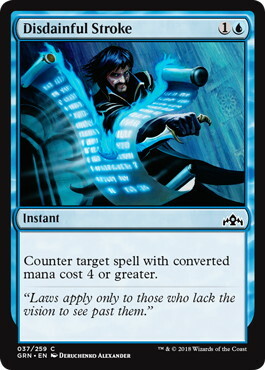 The best time for most Magic players has just arrived! 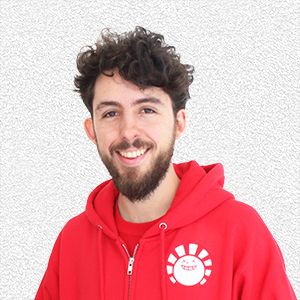 A new set has been spoiled and we have a lot of fertile ground to be creative, innovative and try out all of our new ideas. Most of the time, in the first stage of a new Standard, the Aggro decks are the ones that have better results. 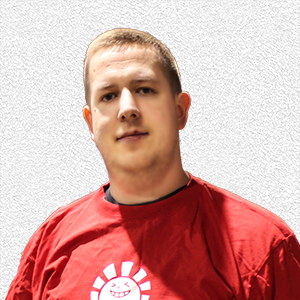 This is mostly because the format is more diverse and the Control decks can not prepare for everything on the metagame. Once the format has less archetypes the Control decks can be better and tuned to combat them. So, let’s take a look at a possible new Aggro deck for the early stage. 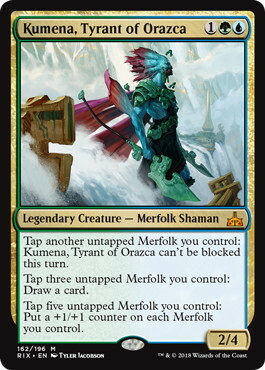 When Rivals of Ixalan was released I was very interested in the potential of Merfolk deck, however, it never became a competitive deck. 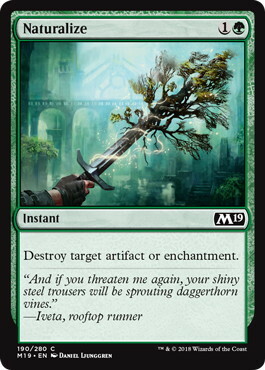 Now, with the return of Simic Guild and we have new tools to make it might be a tier 1 or 2 deck of the new Standard. First of all, we have 《Breeding Pool》! 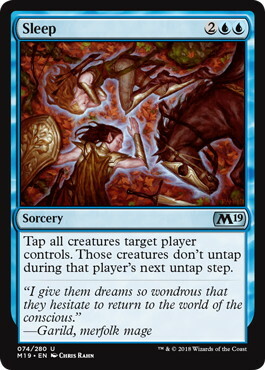 An aggressive deck that relies a lot in both colors suffers too much if it does not have at least 8 Duallands that can come into play untapped. 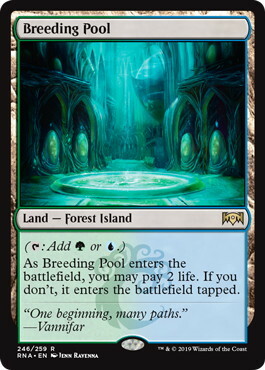 《Breeding Pool》 is the perfect partner for 《Hinterland Harbor》 and they provide us a solid mana base. 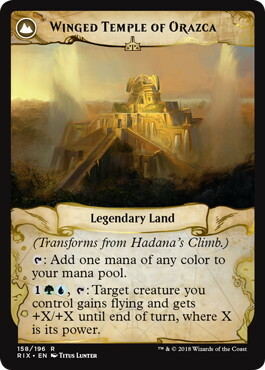 In this case we can also count on 《Unclaimed Territory》 to make it even more consistent. 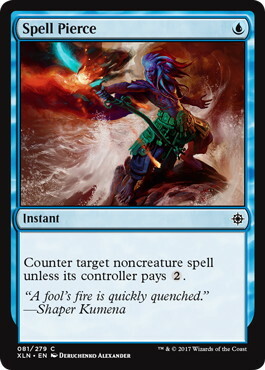 In the second place, we have a very interesting 1-drop. Something that is really hard to replace in Aggro decks. 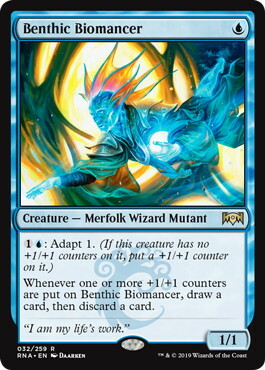 《Benthic Biomancer》 can be the perfect way to mitigate mana flood, discard an extra legendary creature, and possibly discard situational cards like 《Spell Pierce》 or 《Dive Down》. 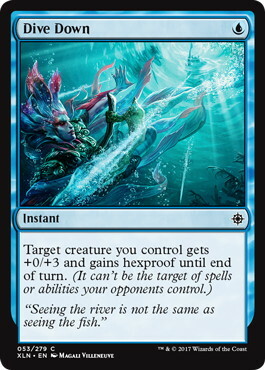 With a wide selection of cards that can provide +1/+1 Counters and the “Adapt” itself it should not be a problem to trigger it as much as we need. 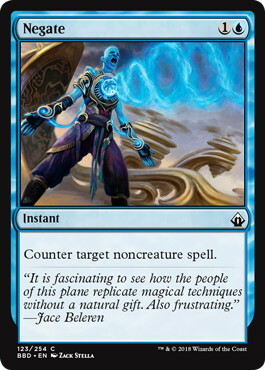 This card can be a very good top of the curve if we are consistent at having +1/+1 Counters. Also if we did not manage to discard extra lands to the 《Biomancer》 we can attempt to close the game with an 8/8 Trample. Overall it is a very good card in my opinion. As for the other specific choices I have made we have the following. 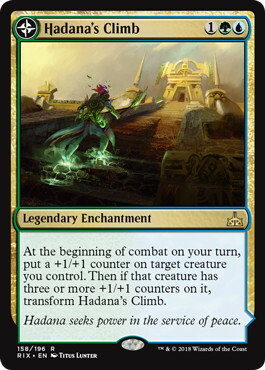 《Hadana's Climb》 could feed the 《Biomancer》s very well and also seems interesting with 《Spell Pierce》 and 《Dive Down》 for protection when you use 《Winged Temple of Orazca》‘s ability. 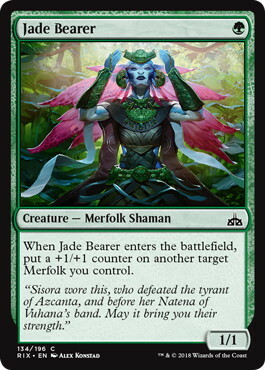 《Jade Bearer》 might seem underpowered but I think it is necessary to have an active 《Kumena, Tyrant of Orazca》 as soon as possible while it also contributes for 《Biomancer》 and 《Zegana》 abilities. The 2-drops are probably the best creatures for the deck. 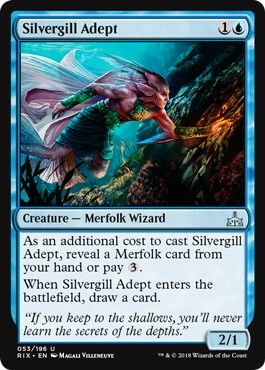 《Silvergill Adept》 has proved its power in many formats and 《2-mana lords》 are extremely powerful for Aggro decks, capable of absurd draws. 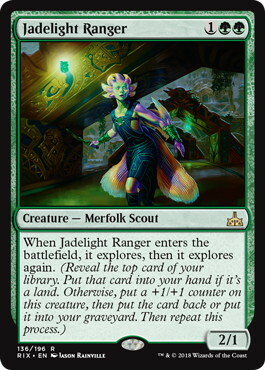 Then we have 《Jadelight Ranger》. Aggro decks are not typically very interested in this type of card. 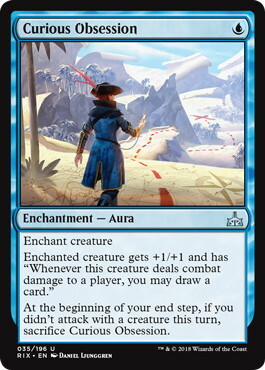 However, the card is very solid, and if we hit extra lands with it, we can loot them away with the 《Biomancer》s. Also, having another creature with +1/+1 Counter will diminish the chance that we can not draw when 《Zegana》 enters the battlefield. Finally, I would like to point out that cards like 《Dive Down》 and 《Spell Pierce》 gain a lot of value in a deck like this where you usually play a 《Lord》 or something to put a +1/+1 Counter on your attacker in your first main phase, making your opponent willing to play their removal spell in your turn and not in theirs when you are tapped out. 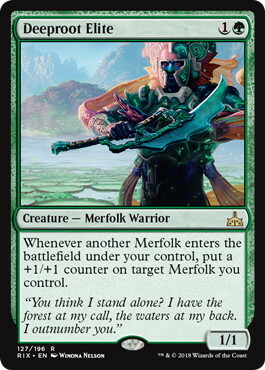 A different take on the deck could also be possible if we want to exploit the card 《Curious Obsession》 just like Mono Blue Tempo does and support it with some other green Merfolks. This type of builds tends to be better against Control and weaker versus other Aggro decks. 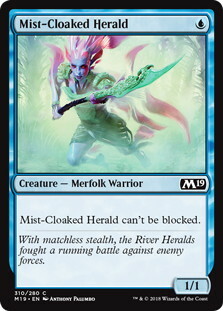 Here we add 《Mist-Cloaked Herald》 as the perfect target for the 《Obsession》. 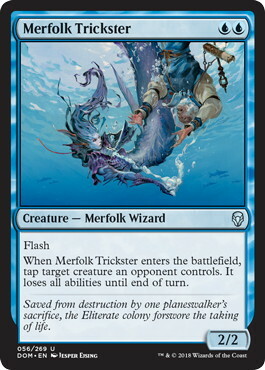 We also have 《Merfolk Trickster》 as a way to attack through a large creature. 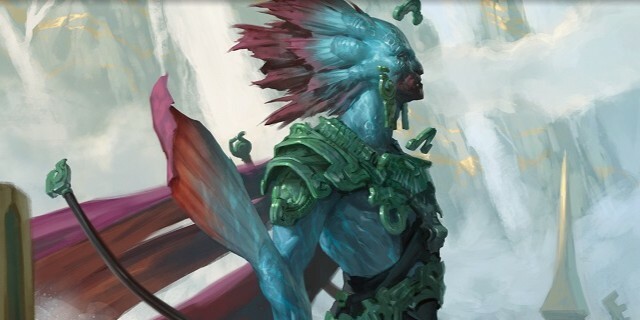 In addition, 2-mana Flash creature works well with the “Adapt” ability of 《Biomancer》 because we can wait and make a better decision after seeing opponent’s plays. 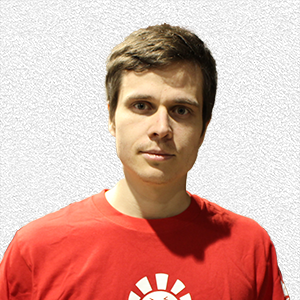 We do not have enough enablers to play with 《Zegana》 but it allows us to play the lower land count to 22. I still like having access to 《Kumena》 because it helps a lot when the board gets stacked on both sides. As for sideboard options it is obviously very early to build a good one. The first cards that came to my mind are some 《Negate》s or 《Disdainful Stroke》s against Control, maybe some 《Shapers' Sanctuary》 against heavy removal decks. We could also include 《Sleep》 versus decks with full of creatures like Gruul, which seems to be very potent with the new additions. 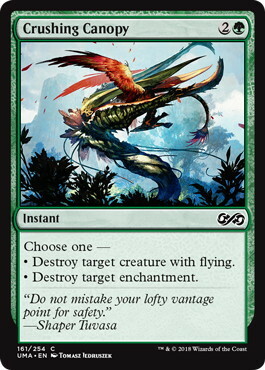 Finally, having some 《Naturalize》 effects is usually correct, I really like 《Crushing Canopy》 just in case we meet a 《Lyra Dawnbringer》. 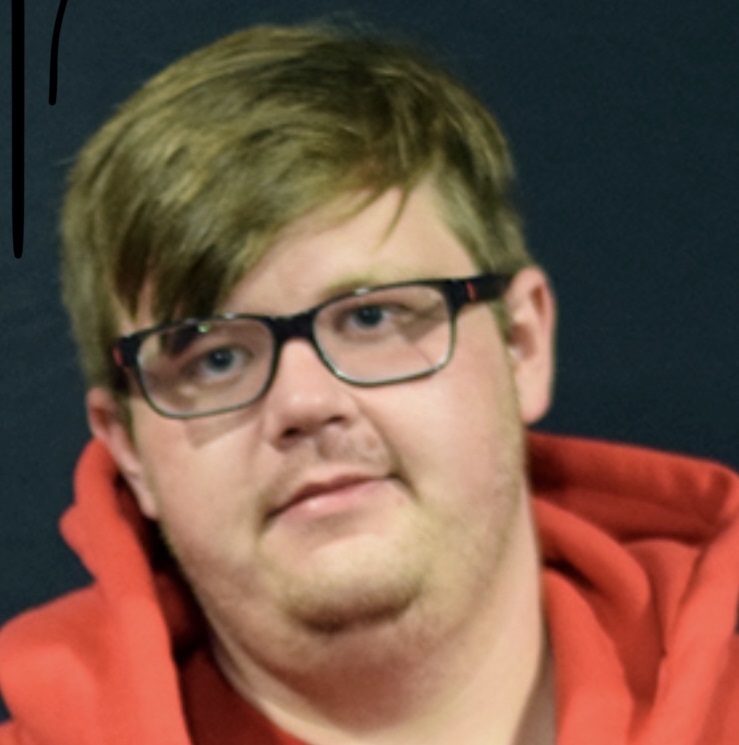 This is all for this time, I hope you enjoy brewing as much as I do and please leave your suggestions for tunning these fresh decklists in the comments below!